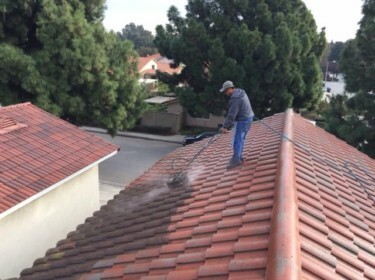 At Miller Window cleaning we know how to clean roofs – it’s one of our specialties. Because we know how important roof maintenance is, we offer and encourage all of our customers to take advantage of our free annual inspection. We will assess the condition of your roof and provide our honest feedback and recommendations. Instead of replacing your roof, which can cost tens of thousands of dollars, we recommend that customers maintain their roof’s structure and appearance through an annual cleaning service.